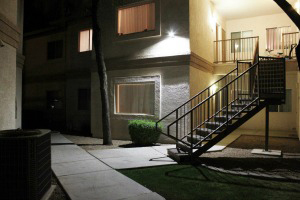 The situation: Desert Gardens Properties was looking for a cost-efficient lighting solution that would still deliver the level of light needed to maintain safety and security at night for both their Desert Garden Apartment complex, and their adjacent mini storage facility. 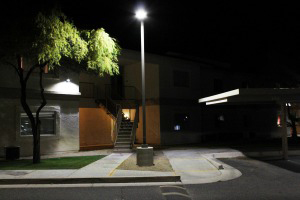 The solution: Arizona Public Service (APS) saved the company over $25,000 in annual energy and maintenance costs retrofitting their property with energy efficient LED lighting. On top of that, utility rebates through Arizona Public Service (APS) and federal tax incentives provided DG Properties over $30,000 of the total cost of the project. 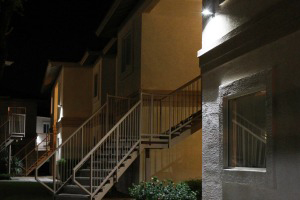 Properties like apartment complexes and mini storage facilities require ample lighting to provide security and safety for residents and tenants throughout their property after dark. The HID Metal Halide lighting DG Properties were using was both an energy drain and a constant maintenance hassle because of the hard to reach lighting that needed replacement every 2-3 years. What they wanted was a lighting retrofit solution that would reduce maintenance costs, improve lighting and provide a safer more secure environment for their tenants. What our certified EEPros Alliance member provided met their criteria, exceeded their expectations and increased the value of their property. DG Properties will recoup the entire cost in just two years! 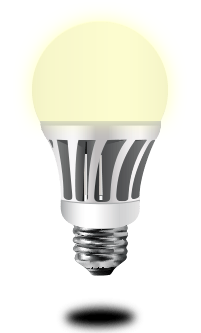 Results: A cost-saving, energy-efficient retrofit lighting solution that will pay for itself in just over two years!